A puzzled client called reporting that he had found his 8 year old Belgian gelding dead in the pasture with no apparent abnormalities. The horse had worked and been fine the previous day. The owner was concerned because he had found a 5 year old standardbred dead in the same pasture under similar circumstances just a few days prior. A visit was scheduled for a necropsy (autopsy in humans) to try to discover the cause of death. 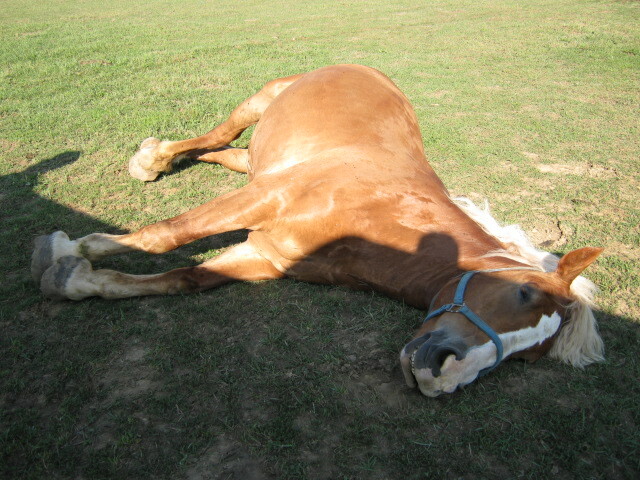 Upon visual inspection, we found the Belgian gelding to have no obvious abnormalities. He was in good flesh and had a normal hair coat. The necropsy revealed no obvious cause of death. Tissue samples were collected for histopath examination. Knowing that most horses with no obvious lesion die of cardiac causes, we concentrated on questions to the owner to determine a possible cause. When the topic of poisonous plants was discussed, the owner acknowledged that he had dumped some trimmings from Japanese Yew onto a burn pile in the field where the horses were pastured. 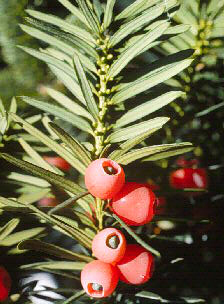 Japanese Yew is a common ornamental shrub that is used for foundation planting around homes. One mouth full of this toxic plant is enough to kill a horse! The pasture was eaten down enough that there was little or no desirable grazing left. I felt that poisoning from the consumption of the toxic Japanese Yew was most likely the cause of death for both horses. There are many poisonous plants that grow in our area that may affect horses. Cardiac glycoside containing plants are highly toxic. They cause progressive interference of the electrical activity of the heart until it stops. Depending on the dose, the owner may see colic, sweating, diarrhea, cold extremities, dilation of pupils, discolored mucous membranes, and death. 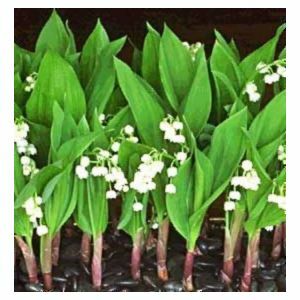 Important plants to be aware of include Japanese yew, foxglove, oleander, lily of the valley, dogbane, rhododendron, and many others including milkweed. 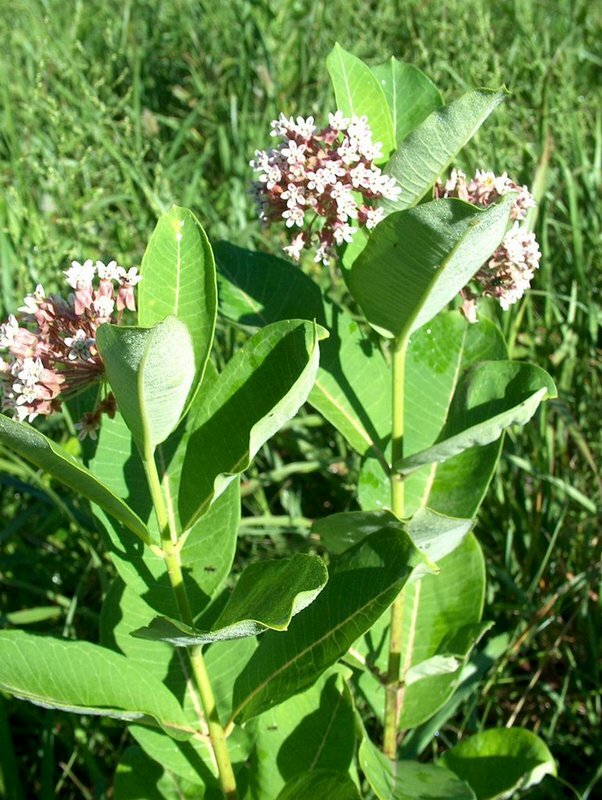 There are several other poisonous plants that affect horses. Poisonings become more common when pastures are eaten down or stressed. Horse owners should become familiar with poisonous plants for the safety of their horses. 1. Rhubarb is a poisonous plant. 2. Fescue grass may be poisonous to horses. 3. Walnut trees may be life threatening to your horses. 4. Roundup herbicide, or the active ingredient glyphosate, may be toxic to horses. The correct answer to all statements is true. When it comes to poisoning, prevention is a far better approach than treatment. Maintain your pastures by eliminating toxic plants and taking measures not to overgraze the area. Before planting ornamentals in any area that horses may access, check your selections to be sure they are not toxic. You can view a list of plants that are toxic to horses and other pets at ASPC.org. You can also call your county extension agent to come evaluate the contents of your pasture and identify toxic plants. This is a free service, just visit purdue.edu to find the contact information for your county.